Hello again everyone! 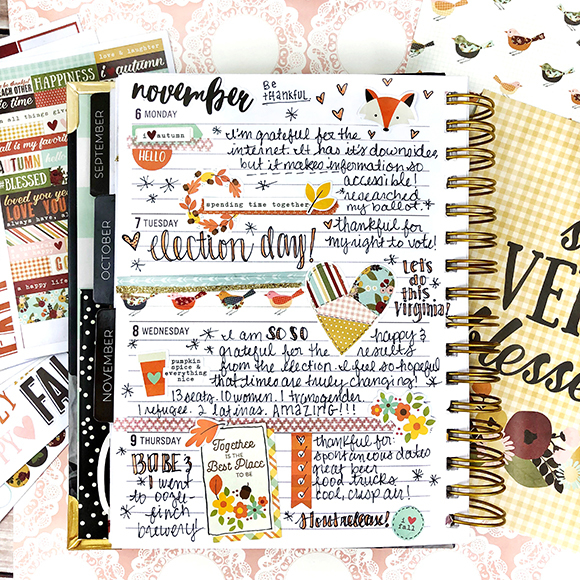 Leah O’Neil here with you on the blog today, with the last post of my Creative Planners blog series. Over the past year, I’ve enjoyed showing you some creative ways to use and decorate your planners. 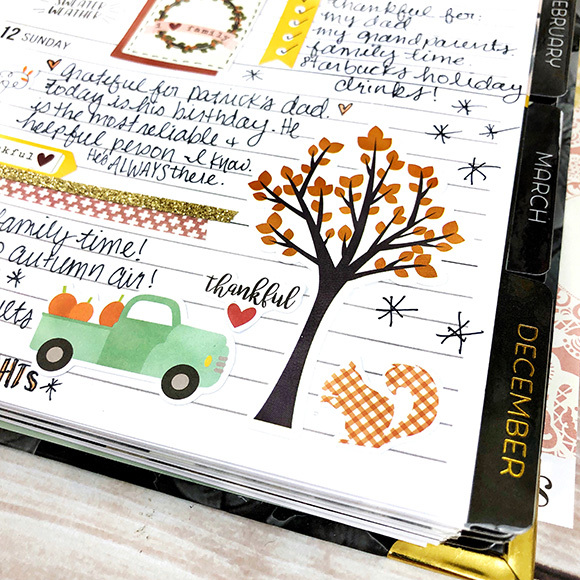 Today, I’m showing you how I use creative planners to document gratitude. I have dedicated whole journals and creative planners to this in the past, which is definitely a fun and fulfilling way to fill pages. In this case however, I had a week in my weekly spiral planner that I didn’t use, so the pages were blank. It’s funny how this happens sometimes (to me) – I had an incredibly busy week that week but I kept forgetting my planner and just ended up making loads of to do lists instead. Whenever I have weeks like this where I don’t use my planner as much, for whatever reason, I like to fill the blank pages with memory keeping or a little gratitude journaling. I’ve loved the opportunity to give you all a glimpse into my Carpe Diem planners over the last year. I hope I have inspired you with a few ideas for the many ways you can use a planner, in addition to using it for planning out your day. You can check out my older posts from this blog series here. You can also find me on Instagram and Youtube if you’d like to see more creative planning inspiration. Thank you all for joining me here on the blog today!